Preheat oven to 400°F. 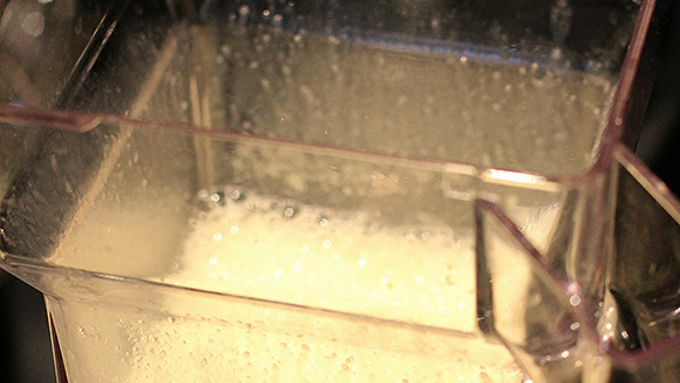 Pulse together the milk, eggs, flour, salt and vanilla in a blender until combined. Add half of the butter and pulse to combine, then add in the remaining butter and pulse to combine. 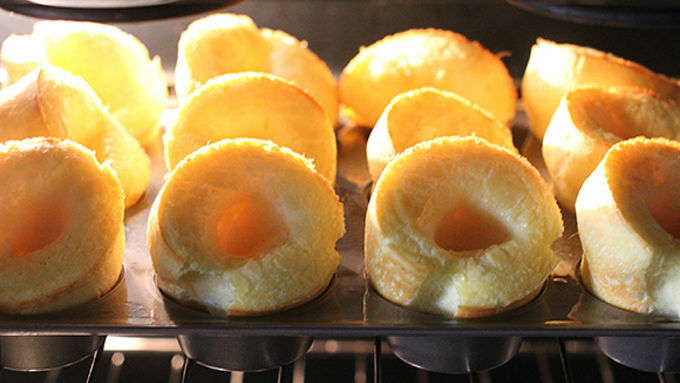 Prepare 18 baking cups with cooking spray. 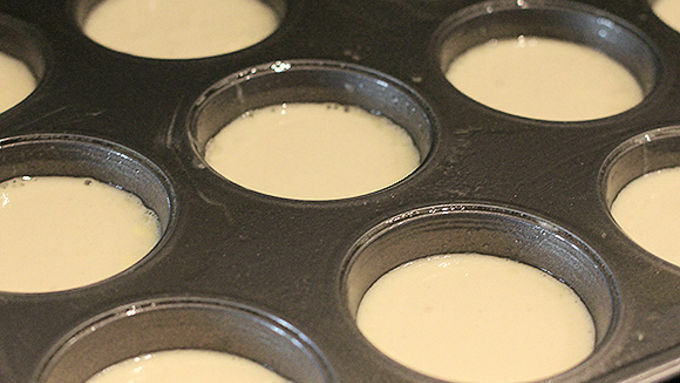 Then fill each with a scant 1/4 cup of batter. Bake for 15 minutes, until very puffy and golden on top. Remove from the oven and let sit for a few minutes to deflate. Then remove and fill with your desired sweet or savory toppings. Puff up your pancakes and fill them with your favorite sweet or savory flavors. 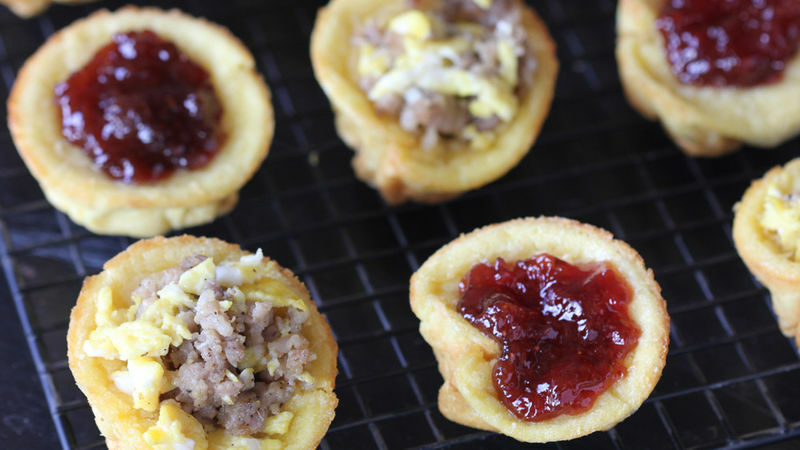 Pancake Breakfast Cups...yum! A muffin-sized pancake that will puff up into a ball? Then collapse to form adorable little cups? And all with just a few minutes of prep? Yes, please!! 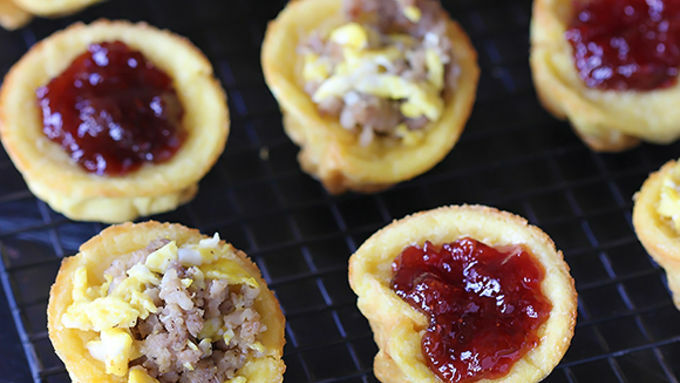 Seriously, these little pancake breakfast cups could not be easier. You just mix the ingredients together in a blender, pour them into muffin tins, and bake until super poofy (get ready!). Then for the filling, go for either sweet, or savory, or both like we did, filling half with our favorite preserves and half with sausage and eggs. So easy and delish! So you like unique pancakes, do ya? Then take some of these pancake recipes for a spin.